Home / northamerica / Drop heavy release: DEAD BY WEDNESDAY's new album features a unique guest vocalist per track. Check it out! 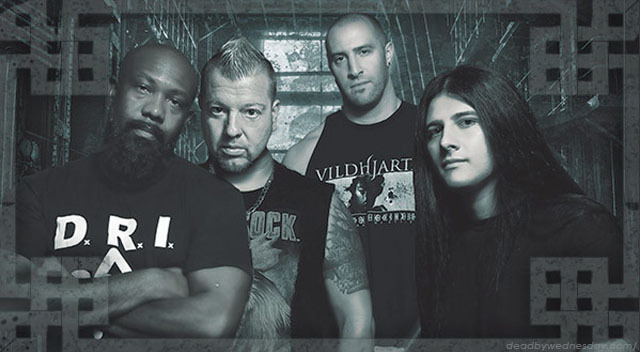 Drop heavy release: DEAD BY WEDNESDAY's new album features a unique guest vocalist per track. Check it out! 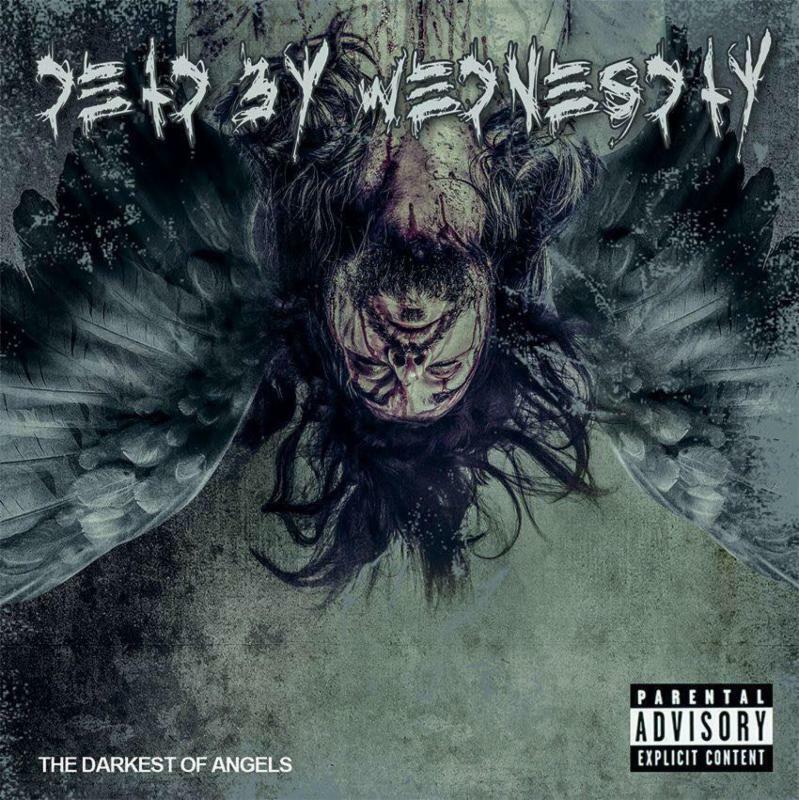 Connecticut heavy metal frontrunners DEAD BY WEDNESDAY recently released their new full-length album, The Darkest of Angels, which features a one-of-a-kind concept - a different guest vocalist on each track! Produced by Nicky Bellmore (Toxic Holocaust, Jasta), the record features vocals from Brian Fair of Shadows Fall, Rob Dukes of Generation Kill / ex-Exodus, John Arch of Fates Warning, Carley Coma of Candiria, Eric AK of Flotsam & Jetsam, Sean Danielsen of Smile Empty Soul, Ceschi Ramos of Fake Four Inc., Antony Hamalainen of Armageddon, Kris Keyes of Gargantua Soul, Paul Stoddard of Diecast and others. 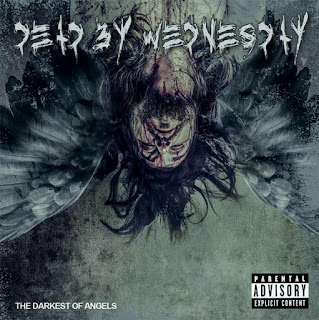 DEAD BY WEDNESDAY sincerely dedicates The Darkest of Angels to anyone who has suffered the effects of addiction with hopes that the music can help inspire the strength needed for recovery. The album was released via David Ellefson of Megadeth's EMP Label Group. You can order The Darkest of Angels now via EMP Label Group's merch site, or via iTunesand Amazon. You can also buy physical versions via FYE and Best Buy, and local north-eastern retail outlets Newbury Comics, Bull Moose Music, Streetlight Records, Rasputin Music, Zia Records, Dimple Records, Angelo's, Music Outlet & Exile On Main St. in CT.
DEAD BY WEDNESDAY has several tour dates coming up. See below for a full listing of the band's upcoming performances, including a stop at Laconia, New Hampshire's LaconiaFest in conjunction with Laconia Motorcycle Week. "Reintroduce Yourself Acoustic Tour 2016"
To learn more about DEAD BY WEDNESDAY, please visitwww.facebook.com/deadbywednesday.